Pairs with your existing garage door opener allowing control of your garage door through your smartphone. Our Smart Garage Opener allows users to open or close a sectional garage door remotely through their Think Protection Alarm System (requires Home Automation upgrade). It is compatible with virtually any automatic garage door opener connected to a sectional garage door. 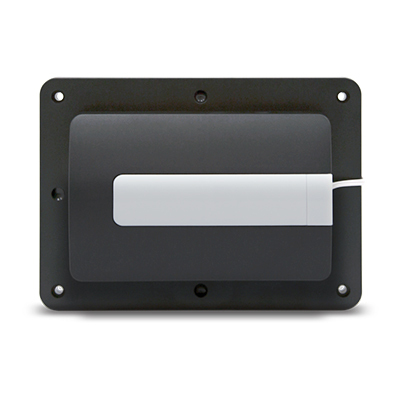 It provides both audible and visual warnings prior to remotely-activated door movement, allowing it to meet UL 325-2010 safety requirements. It also includes a wireless tilt sensor that attaches to the inside of the garage door, which reports ‘open’ or ‘closed’ status to the controller.